Something about summer makes us so happy. Maybe it’s those extended days that turn into memorable nights with family and friends. Maybe it’s the abundance of sunshine after a snow white winter. For me it’s the bbqs and the beach and lots of pictures! I also love helping my kid build forts and snacking out with endless summer movies. For others it’s the gathering of people. Entertaining is one of the things that connects all people no matter where you’re from. You put people and food in one spot and you got yourself a party. 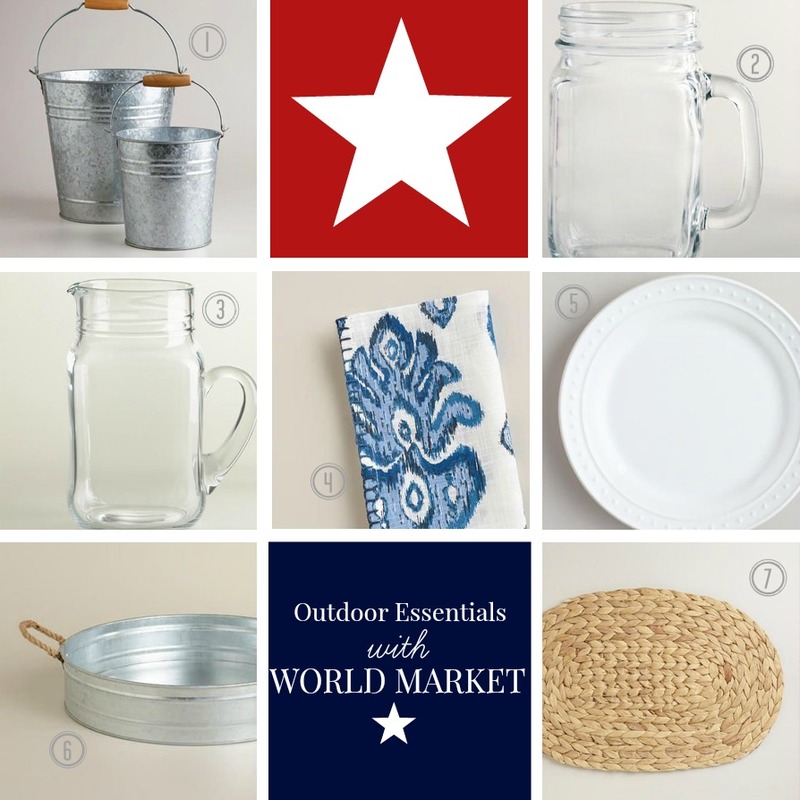 I’m happy to show you some of my favorite little outdoor essentials from World Market. 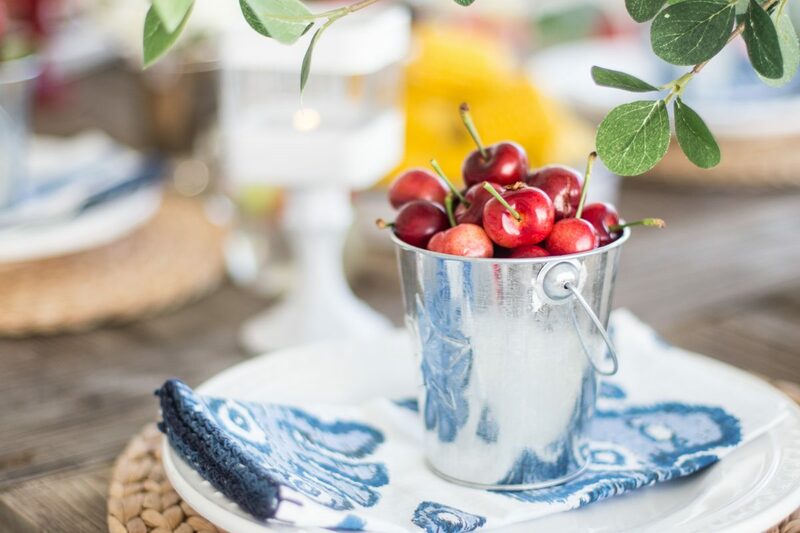 These pieces can be mixed to your liking but with the switch of a drink color or napkin, it can coordinate with any party you have going on this summer. The table sets the mood for the entire party. 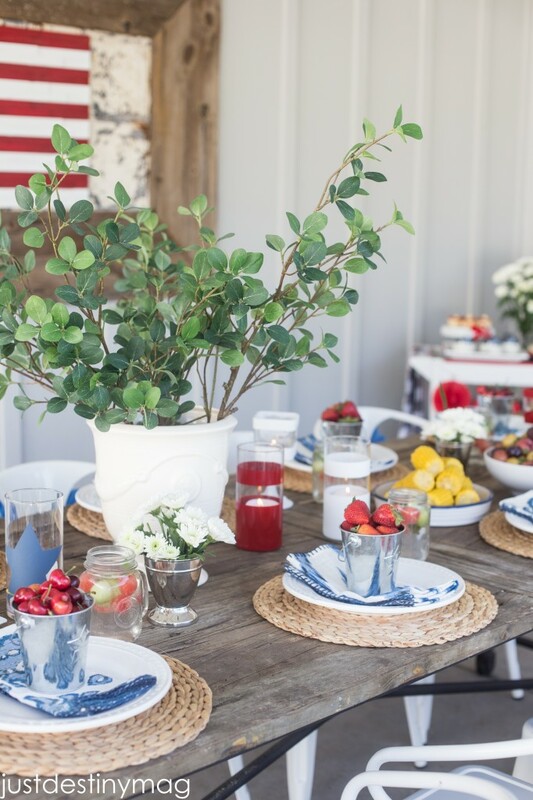 If you love to entertain outside, add some natural elements like branches and leaves. Couple that with natural placemats and white plates like the ones below and you got yourself and easy and beautiful beginning. 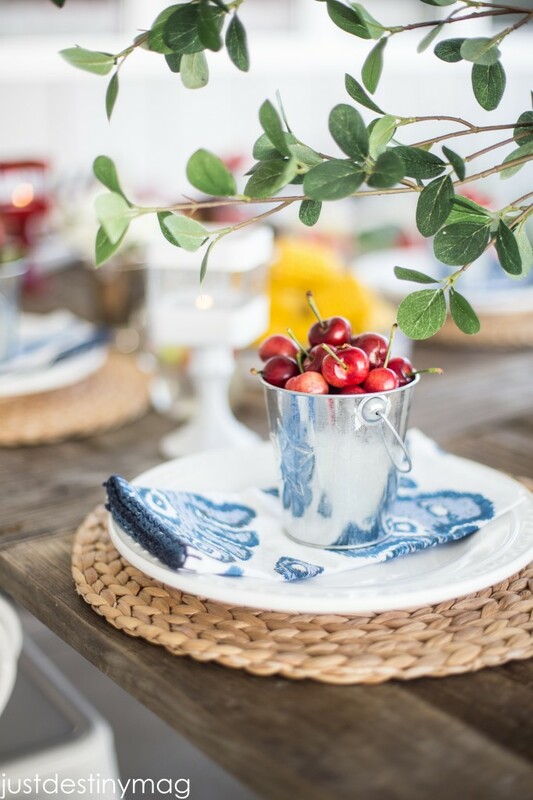 The pop of indigo brings an updated touch to any tablescape. This one happens to be perfect for Fourth of July! Dont forget the cherry on top! On display above are the World Market mason jar glasses and glass pitcher. 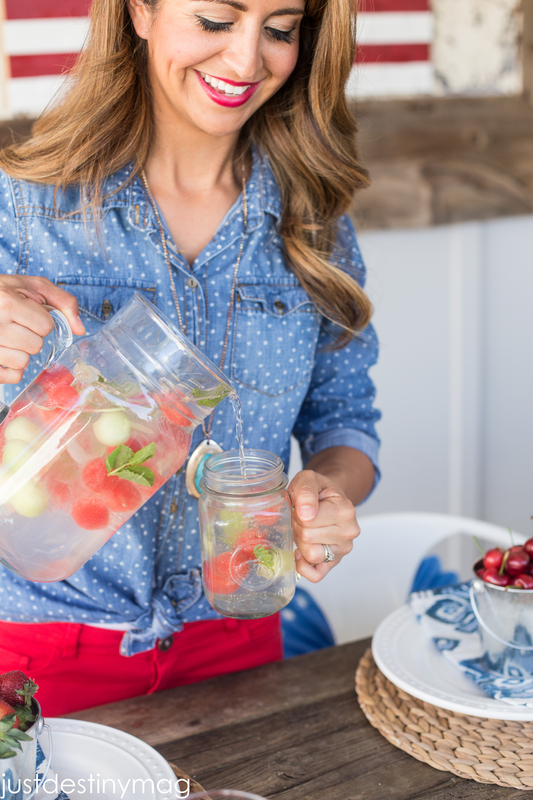 You can find the delicious and refreshing recipe for this Melon Spritzer at Baked by Joanna. She has the perfect menu to complement it too. 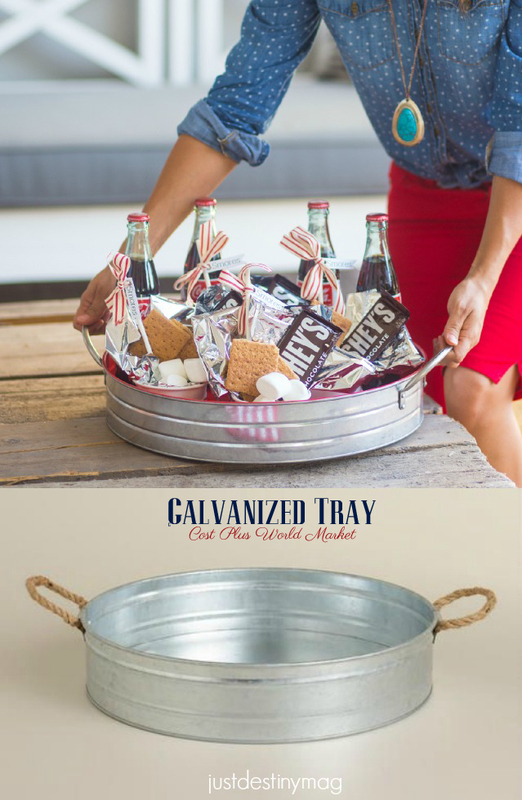 Other outdoor essentials include trays to carry drinks and other treats like these Smores to your party guests. I couldn’t resist these adorable mason jar shot glasses. If you don’t drink, no worries! Just fill them up with condiments to compliment your burgers and sandwiches. 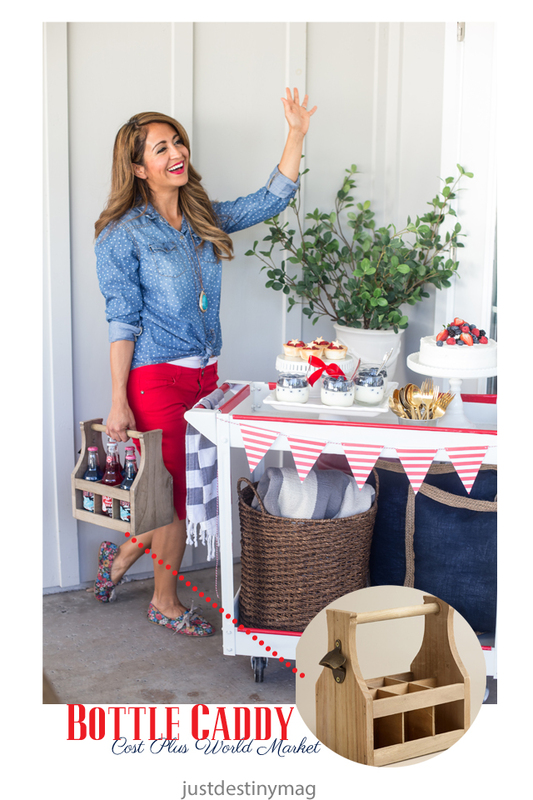 Keep up with your guests with a moving cart with treats and entertainment pieces like this bottle carry. It holds six bottle sodas and even has a bottle opener attached for easy opening! How cute is that? With these neutral and affordable essentials you are sure to have the perfect collection of entertaining pieces this summer! This is a sponsored post by World Market. 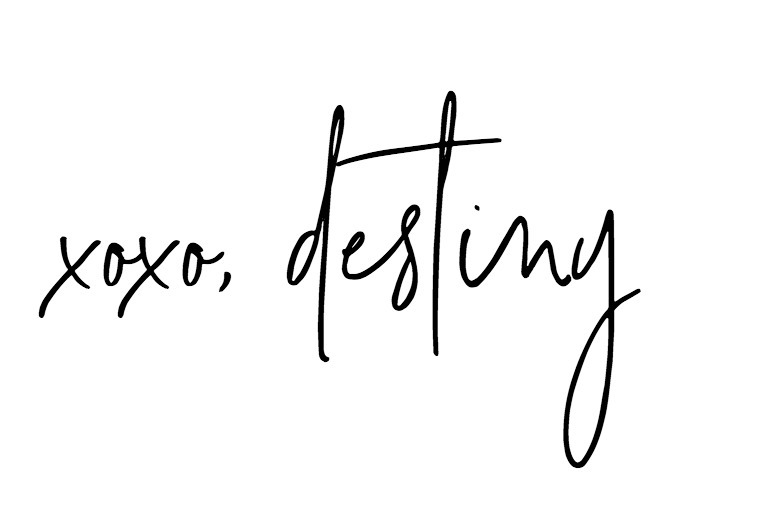 I’m a brand ambassador for this wonderful store and I love to share all the greatest and latest decor items from them. 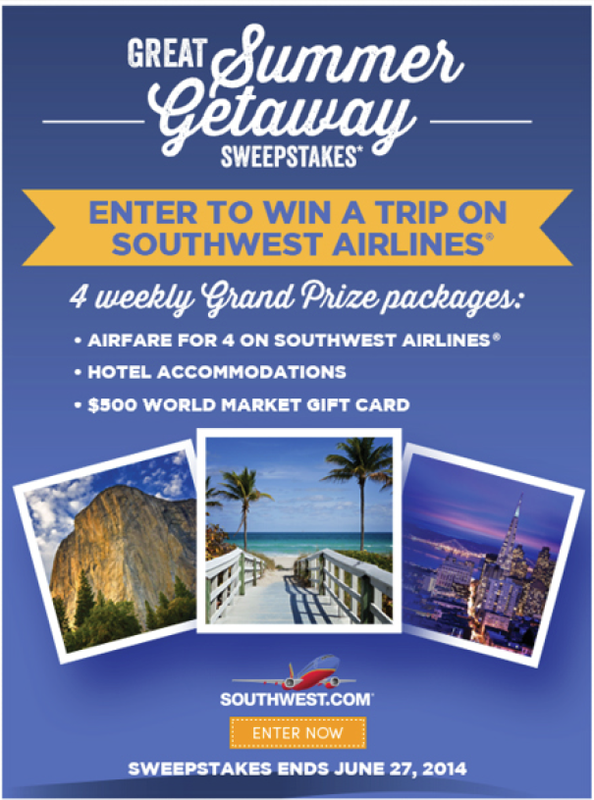 Right now World Market and Southwest Airlines are AGAIN partnering up to give you a chance win four great summer getaways!! Enter to win a trip for four on Southwest Airlines. Participants can earn bonus entries for liking and sharing content via Facebook, Twitter, Pinterest & Instagram pages for more chances to win.